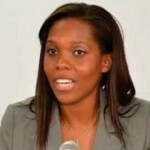 Kerry‐Ann Barrett has been practicing as an attorney‐at‐law for over twelve years in both Jamaica and Trinidad and Tobago. Included in her legal professional experience have been appointments within the Ministries of National Security and Trade and Industry, including legal consultant to the CARICOM Secretariat and the ILO Sub‐Regional Office for the Caribbean. Mrs. Barrett holds a Post Graduate Diploma in International Arbitration, a Masters in Business Administration (MBA) in International Business, an LLB and Certification in Legal Frameworks for ICTs. In more recent years Mrs. Barrett has gained considerable knowledge and experience in the area of electronic commerce, internet governance and cyber security. She has been the legal advisor for the development of the legal framework for the Government of Trinidad and Tobago Single Electronic Window for Electronic Commerce Project known as TTBizLink, a member of the Inter‐ministerial Committee for the development of a national cyber‐security policy and legislation for Trinidad and more recently has joined the Cyber Security Program at the OAS as their CyberSecurity Policy Specialist offering technical assistance to member states on the development of their national cyber security strategies.